People who live along the Southeast coast, including at least 100 miles inland, are preparing for a monster hurricane later in the week. Hurricane Matthew, a category four storm, has already pounded Haiti and Jamaica in the Caribbean with ferocious winds and torrential rain. It's forecast to slowly move north this week, hugging the coast of Florida before possibly making landfall in the Carolinas by the weekend. Once over land, the storm is likely to remain a menace, even after it is downgraded to tropical storm status. Consumers are likely to face high winds and heavy rain that could take down trees, knocking out power and posing safety hazards. Florida Gov. Rick Scott has declared a statewide state of emergency and North Carolina Gov. Pat McCrory has declared a state of emergency for 66 counties in his state. Although it is too early to know exactly where the storm will hit, Weather.com meteorologist Chris Dolce says consumers who live in the Southeast U.S. need to monitor its progress. "Matthew could pass near or just off the Southeast coast late this week into the weekend,” Dolce said on the website. “Even if the center of the hurricane does stay offshore, we would still have the potential for coastal flooding, beach erosion, battering surf, rain, and gusty winds. The magnitude of any of those impacts will depend on Matthew's track and intensity at that time." People living along the coast should make plans to move inland, depending on the track of the storm. Coastal areas may be subject to a storm surge of several feet. Those living inland should make sure their homes are secure and that they have adequate supplies of food and water on hand. Many areas may be without power for extended periods. 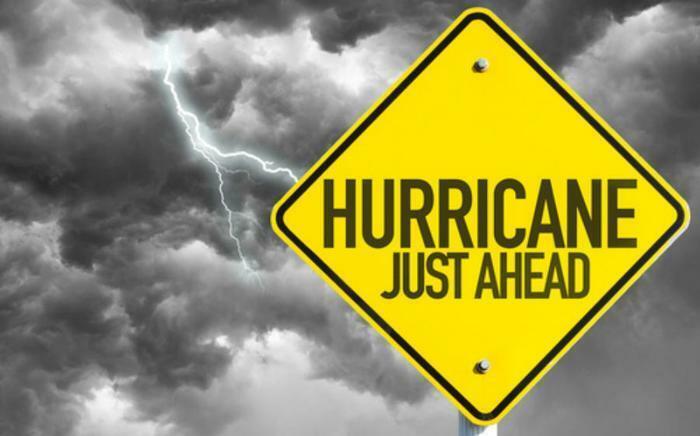 The U.S. Coast Guard has created this hurricane safety checklist to help consumers prepare. The Coast Guard recommends having three to seven days of non-perishable food on hand for each family member. The Federal Emergency Management Agency (FEMA) has a free app for Apple, Android, and Blackberry devices. Once downloaded, the app will provide National Weather Service alerts for up to five locations, send safety reminders, and locate emergency shelters, among other things. Consumers should also fill their vehicle tanks with fuel before the storm hits. Gasbuddy analyst Patrick DeHaan says a hurricane always has the potential to disrupt gasoline distribution.